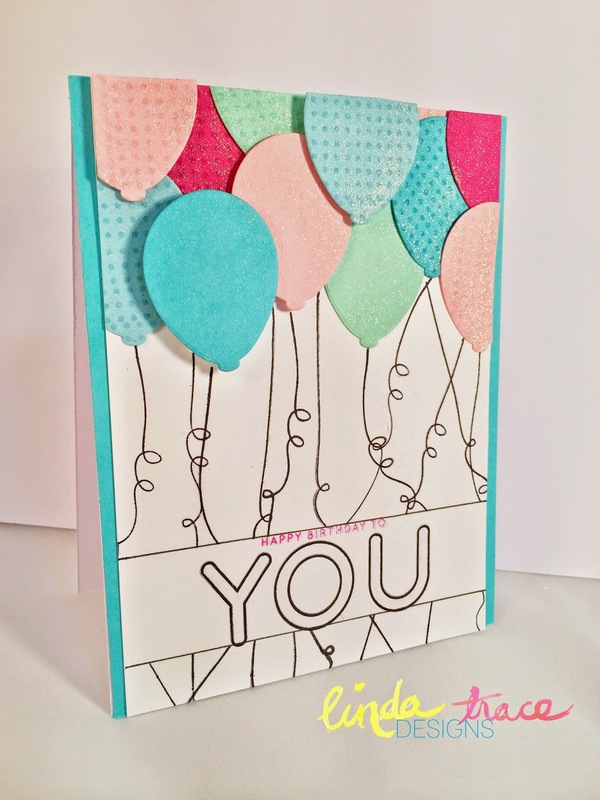 Today I thought I'd share a fun card I made using lots of Simon Says Stamp exclusive products! Simon Says Stamp have released some AMAZING new cardstock and inks, and these are what I played with to create this card. This card was so fun and easy to create! I hope you enjoyed the video and that it inspired you to try making your own project, using some of the delicious new Simon Says Stamp exclusive goodies! Thanks so much for stopping by my little piece of the blogosphere! Well, that was fun!! So awesome seeing your smiling face and hearing your voice! Loved it and the card! I am so in love with those balloon dies! What a fun card. Love all those balloons and pattern choices. Love your card and the video! great job!!! What a fun card...and great tut! Love your card Linda! Stunning! I need to break out those ballon dies one of these days and make a card! Thanks for the inspiration!